An estimated 20,000 spectators gathered on the banks of the River Ness on Saturday 4th November as the Highland Council's annual Display took place in Bught Park. 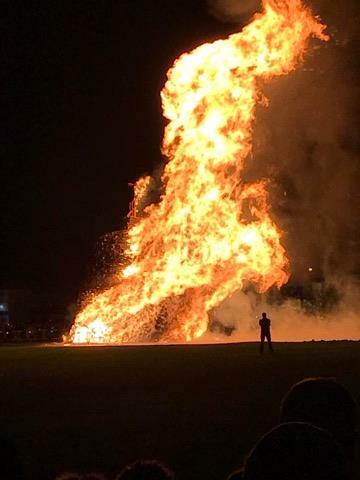 After enjoying performances by the City of Inverness Youth Pipe Band and the Fly Agaric Firestormers Display Team; the crowd cheered loudly when Provost Helen Carmichael stepped forward to light the giant 50 foot high bonfire, which quickly roared into life to everyone's delight. 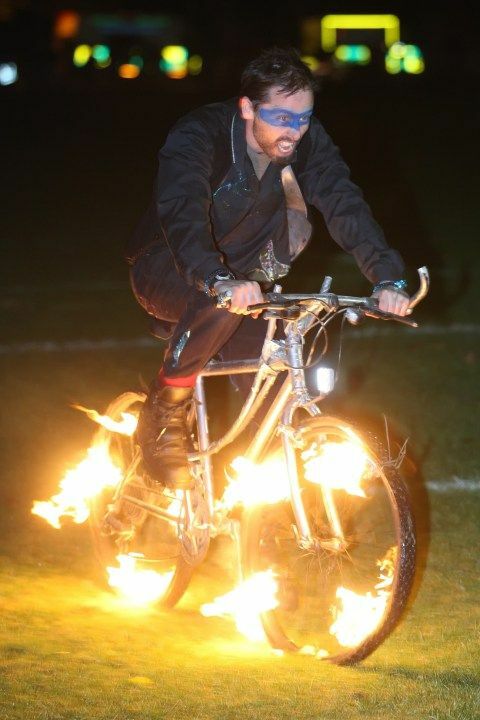 After a short delay to enable the Fireworx Scotland Display Team to make some last minute adjustments as the gusts of wind increased in strength across the field; the spectacular 20 minute display under a full moon was enjoyed by all. 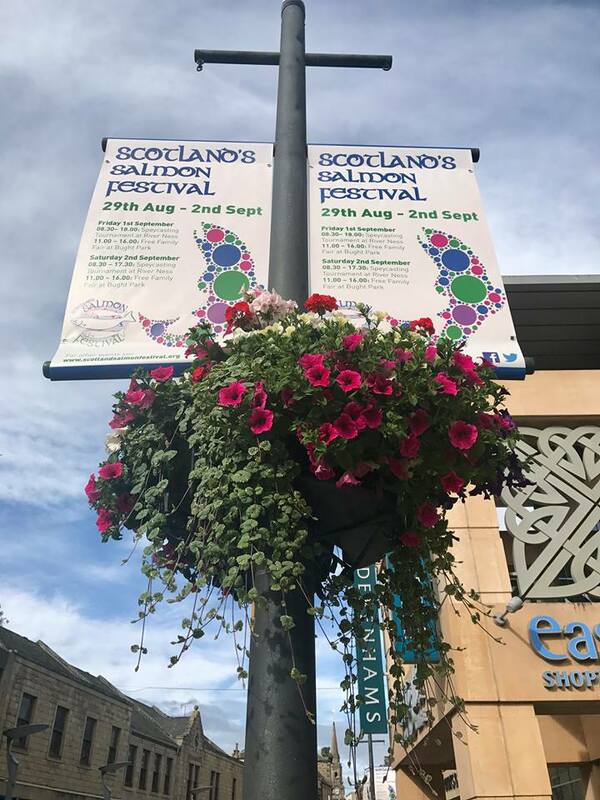 Afterwards Councillor Trish Robertson of the Inverness Events and Festivals Working Group thanked the thousands of spectators who had answered the Council's call to park well away from the site and walk to the event. "The support of the drivers bringing families to the show played a major role in keeping the traffic congestion to a minimum on the night and was greatly appreciated. " 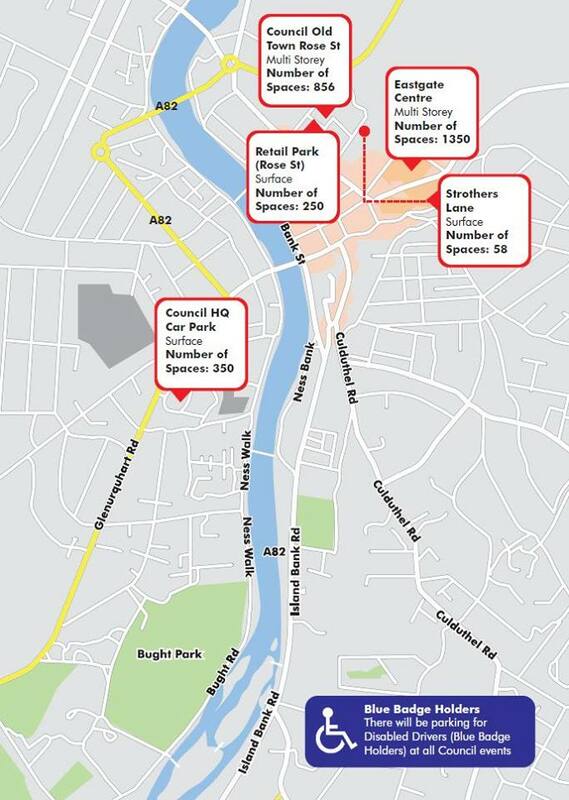 If you are attending our bonfire display on Saturday November 4th don't forget to use the city centre car parks and allow yourself extra time to walk to the site. With over 20,000 visitors over the two nights our 2017 Halloween Show got this year's Winter Festival off to a great start. Our friends at Eden Court Creative, Arts in Motion and Limelight Event Services did a great job bringing the UNDERWORLD!to life. Big thank you to all the folk who remembered that parking around Bught Park was very limited and helped us by using one of the 2800 plus spaces which are available in the City Centre and walked along to the show. There was a great turn out of the oldest event – the Kirking of the Council - which took place on Sunday 10 September. Staff and Members of The Highland Council along with guests from the University of the Highlands and Islands and community councils paraded, led by the Royal British Legion Scotland (Inverness Branch) pipes and drums, and the City of Inverness Youth Pipe Band along with uniformed youth groups and school representatives. The service in the Old High Church was led by Reverend Peter Nimmo, Minister of Old High St Stephen’s Church who will delivered a sermon called 'Cherish the light!' which was based on two readings from the New Testament. Leading the opening prayer was the Reverend Stewart A MacKay, Chaplain of The Black Watch 3rd Battalion of The Royal Regiment of Scotland; and leading the Prayers of Thanksgiving and Intercession was Rev Sarah Murray, Provost of St Andrew’s Cathedral in Inverness. Provost and Leader of Inverness, Councillor Helen Carmichael, gave the Provost’s traditional Scripture reading. One of the funniest and most enjoyable events we have ever staged........this really is one of our all time favourites. We have wonderful Memories of the Lerwick Jarl Squad 2017's hugely successful first visit to Inverness which were brilliantly captured by photographer Ewen Weatherspoon. 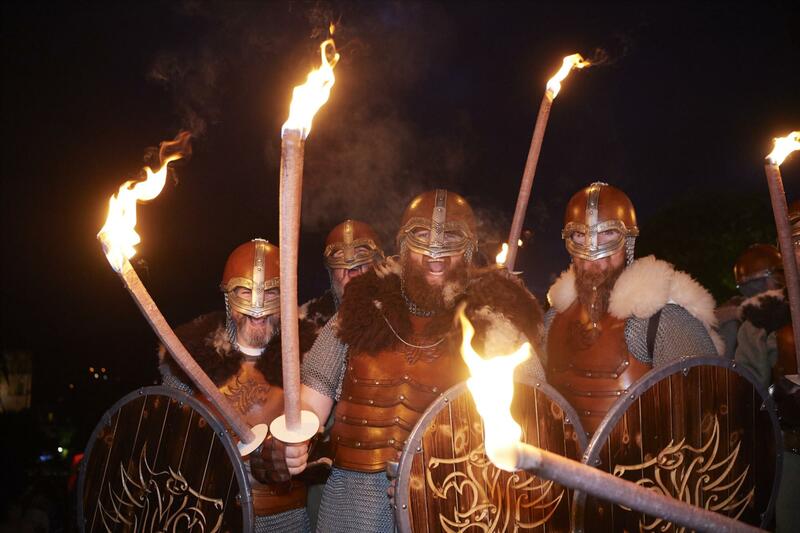 We were delighted to be asked to support the final weekend of activities which brought High Life Highland's Viking Exhibition Valhalla: Life and Death in Viking Britain to an unforgettable climax. Big thanks to everybody at IMAG, Crown Primary School, the City of Inverness Pipe Band; Mascot Madness; Fraser School of Highland Dance; Police Scotland; Inverness Museum and Art Gallery; High Life Highland; Highland Council; Sponsors Inverness Common Good Fund and Northlink Ferries and last but not least Elvis Presley. Unless you have heard this lot sing "Burning Love" on the steps of Inverness Castle to roars of approval from a delighted crowd - you really haven't lived. 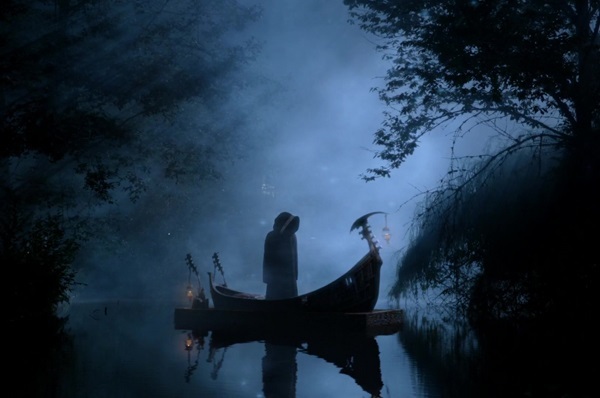 Haste ye back!